Marla Zirkle joins The Speaker Exchange Agency as Staff Accountant. She brings 20 plus years of accounting experience in the media industry where she managed the business office and all its accounting responsibilities for four prominent radio stations in Kansas City. Marla worked with Partner Brittanny Kreutzer at CBS Radio in Kansas City. The two formed a strong working relationship built on trust, knowledge of their product and successfully meeting budgetary needs. Marla is known for her strong work ethic and attention to detail which have always ensured financial success. Marla strives to create “the ease of doing business” environment for our clients and employees. 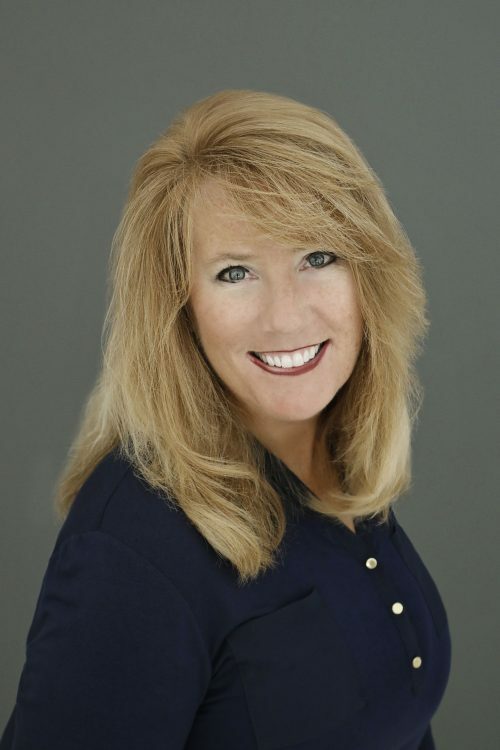 Marla is excited to bring her specialized knowledge to The Speaker Exchange Agency. Marla grew up in Springfield, Missouri. She attended the University of Kansas where she earned a Bachelor of Science in Journalism. Marla and her husband, Brian, live in Oak Grove, Missouri with their two children, Emily and Ethan. What is your favorite drink? I am addicted to unsweetened iced tea! I start each morning with a large travel cup to jump start my day. It is an indescribable feeling when entering Allen Fieldhouse and joining the culture of Pride, Unity and Success. What is your favorite vacation destination? It’s Nashville, Tennessee. I’ve been fortunate to attend country music awards shows, new artist showcases, club performances, and artist dinners over the past 20 years. These opportunities are rare and special. What kind of music do you like? I am a loyal Country Music fan. I was raised on Classic Country in southern Missouri. This genre tells many great stories in its lyrics, and it’s amazing how I find myself applying my own stories to them as well. Tell us about your pets: Rusty is our miniature quarter horse who stands 34 inches tall. He’s quite the stallion and a joy to play with. He’s won the hearts of our neighbors and the elementary kids who pass by him every day and wave out their bus windows. What’s your favorite weekend activity? I love to bowl! My husband and I joined a league in 2000 where I was barely averaging 110 per game. Fourteen years later I am actually consistent and averaging 160+ per game. I love the socializing, the jukebox, the cocktails and the date night! What is your favorite type of candy? Zero Bars and Sugar Babies are a must when I am traveling. There’s not a trip that I take without these two items in my carry on, in my car, or in my hotel room. Do you have any wisdom to share? If she’s crying, don’t say anything, just hug her! ~ It’s amazing how comforting a hug can be for a woman/child. It shows you care and the silence is soothing. Embrace her so she feels safe. When you can quote a movie scene by scene and can sing every song word for word then you know you’re hooked! If you could go back to talk to your 13 year old self, what would you tell yourself? Appreciate the luxuries your parents have provided for you. Say thank you. What are you grateful for? I am grateful for my family’s health and stability. My daughter has had some medical challenges and we have conquered them successfully. We all have 10 fingers and 10 toes so we are a fortunate family. The stability our marriage and faith provides for my children is a blessing from God. What do most people not know about you? I am a member of Kickapoo High School’s Hall of Fame. What is your favorite holiday? Fourth of July…this is the one day of the year that my husband (and his childhood buddies) regresses to being a child. The ridiculous amount of money he spends at the fireworks stands, the tradition of blowing up whatever he can find to be the loudest, and the group of friends we celebrate with make this tradition one we vow to keep going as long as we can.